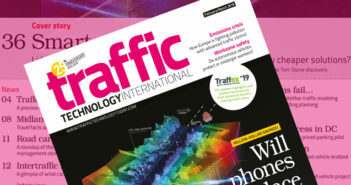 According to new research released by the American Transportation Research Institute (ATRI), traffic congestion on the USA’s National Highway System (NHS) added nearly US$74.5bn in operational costs to the trucking industry in 2016; a 0.5% increase over 2015. In this latest Cost of Congestion analysis, ATRI used a variety of data sources including its unique truck GPS database to calculate delay on just the NHS, which totally nearly 1.2 billion hours of lost productivity. This equates to 425,533 commercial truck drivers sitting idle for a working year. The study also found that congestion costs are increasingly concentrated on a relatively small proportion of the NHS, with 86.7% of total nationwide congestion costs occurring on just 17.2% of NHS segment miles. These NHS segments are characterized as having above-average costs in excess of US$155,000 per mile during 2016, and are predominantly located in densely populated urban areas. As expected, traffic congestion tended to be most severe in urban areas, with more than 91% of the total congestion costs generated by metropolitan areas. As the US trucking industry’s main not-for-profit research organization, ATRI is engaged in critical research relating to freight transport’s essential role in maintaining a safe, secure and efficient transportation system. ATRI’s latest analysis also documented the states, metropolitan areas and counties that were most impacted by these delays and subsequent cost increases. The top 10 states experienced costs of more than US$2.4bn each, led by Texas and Florida with more than US$5.5bn each. 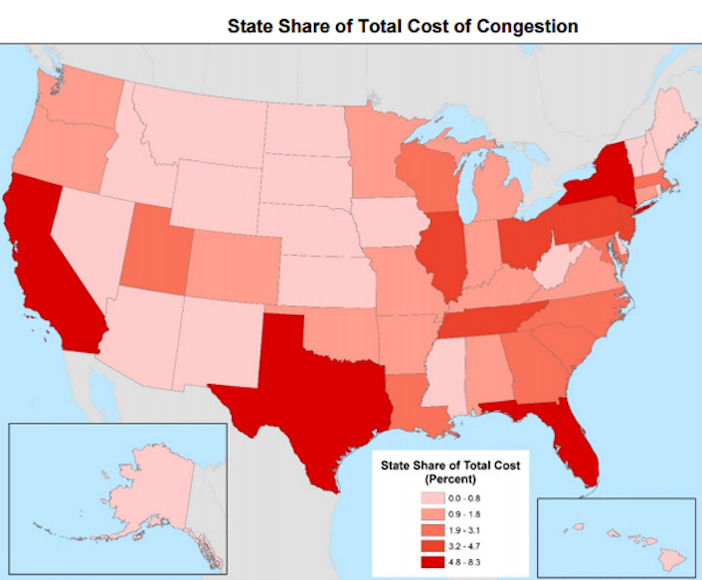 In fact, the top 10 states combined account for 51.8% of the congestion costs nationwide. As part of this analysis, ATRI has updated its congestion cost database with 2016 data to provide granular cost information to transportation planning officials on the hours of delay and associated cost by major jurisdiction type and road level. ATRI has also released the findings of its 2018 update to ‘An Analysis of the Operational Costs of Trucking’. 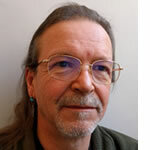 Using financial data provided directly by motor carriers throughout the USA, the research documents and analyzes trucking costs from 2008 through 2017, providing trucking industry stakeholders with a high-level benchmarking tool, and government agencies with a baseline for future transportation infrastructure improvement analyses. With economic activity strengthening in 2017, the average marginal cost per mile incurred by motor carriers increased by 6% to US$1.69. Cost increases were broad-based in 2017, with growth in nearly every major line-item over the year. ATRI notes that motor carrier operational costs have now surpassed the 10-year average since it began its annual Ops Costs research.